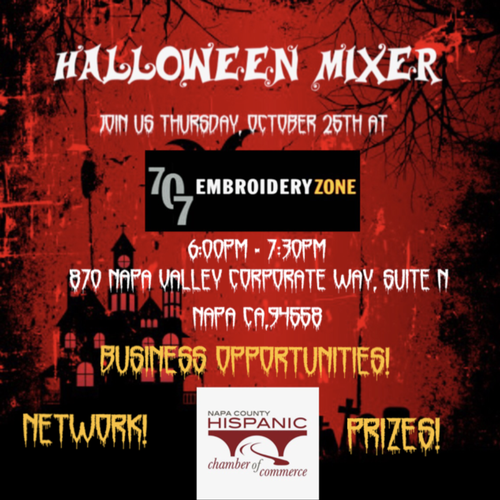 NCHCC Mixer October 2018 - Oct 25, 2018 - #MICRONET_HEADING# – Napa County Hispanic Chamber of Commerce | Bridging Hispanic and non-Hispanic Communities in Napa County. Come and network with experts in various industries. Find out how the Napa Hispanic Chamber of Commerce can help you with your business needs.Win raffle prizes and most of all support the small business community in our lovely Napa Valley. Bring a friend and you get in for FREE!